After her younger sister, Lea, dies in a car accident, Rumi is sent to live with her aunt in Hawaii. Wracked with survivor’s guilt, Rumi doesn’t know how to begin coping. Far from home and without her sister, Rumi is angry. But with the help of her new neighbours, Rumi finds her way back to reconnect with music and her sister. This story was just absolutely incredible. It’s intense and emotional. I was genuinely captivated by Rumi’s journey as we follow her from a very vulnerable place and watch grow in her healing journey. She begins the story in a very angry place, her mother had abandoned her, and now she’s in an unknown place. Memories are scattered in scenes which reveal her past and demonstrate how everything led to Hawaii. While they read a little abruptly at some moments, I loved what they showed. They really built into Rumi’s past with her family and allow Lea to fully flourish into her own despite never actually appearing in the current time. What captured me the most about this book is how Rumi uses music to deal with her grief. At first, she’s very reluctant to keep music at bay but returns to it to fulfil her final promise to her sister. Music has so much power in this novel, and that was one aspect that I really appreciated. I feel like Rumi will anger a lot of readers. There’s a certain expectation of how grief should be portrayed, usually a constant state of sadness. And Rumi isn’t like that all the time, she’s angry, rightfully so, and she’s hugely expressive and says everything unabashedly. I just hope no one interprets her grief as her being a “Bad” character. Also, the parent-child relationship here is rather interesting, and I enjoyed the different take on the usual “strong parent who is there for their child” type I’m so used to reading about. 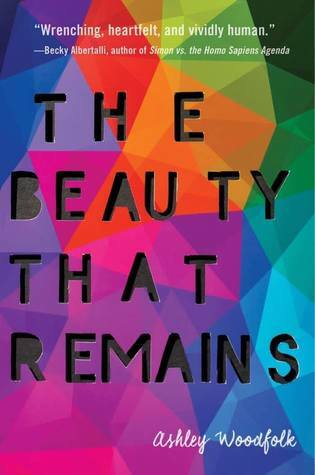 Amid everything, one subplot follows Rumi as she questions her own sexuality, and she later identifies as asexual which is pretty amazing to read considering how ace characters in YA are severely underrepresented. I love books that have large friendship groups where everyone truly cares for each other, and Summer Bird Blue gave us just that. Rumi meets Kai, her neighbour, and later meets Hannah, Gareth and a whole bunch of others who genuinely care for each other. I would have loved to have seen more of them. There’s also her elderly neighbour, George Watanabe, and I had such sheer joy while reading about them doing such simple things. His own story is heart-breaking. Overall, I really enjoyed this book. It was just so heartfelt and emotional, especially the last quarter had me in tears. A story about a girl exploring her grief, but also a story about family and friendship. A brilliant character-driven novel that really hit all the right notes . Almost a year after a car accident that derailed Cara’s life, her mother enrolls her into Hope Hall, for her final year. Miles away from anyone who knows her, on a secluded boarding school in the Alps, Cara intends to keep her past a secret. But the one thing she didn’t account for was the students of Hope Hall. When I think random boarding school in the Alps, there’s a very stereotypical expectation I had constructed around this setting, but The Year After You utilizes the setting very well which very much complimented the story. The way everything is trapped in this one mountain made the story more intense. Cara, our main lead, was brilliantly frustrating. I personally didn’t like her, but when we got to the end, I did feel for her. Her pain and confusion as she blames herself for the death of her friend while trying to keep her new friends at an arm’s length were honestly heart-breaking. The side characters were extremely brilliant. Without them, I don’t think I would have enjoyed this book very much. Ren is everything you want in a friend; caring, supportive and patient. Hector is a hero with a chip on his shoulder and story of his own. He’s rather mysterious with an extremely interesting backstory. Fred, I have to admit, took a while to understand. He immediately sees Cara as a threat to his friendship group and I didn’t particularly enjoy seeing him gang up on her. Everyone in this school reminds me of my own secondary school days, we’re all on edge and even stuff that seems irrelevant now, really crumbled your world back then, so I get the fear of losing everything that you’ve known. I LOVED this. 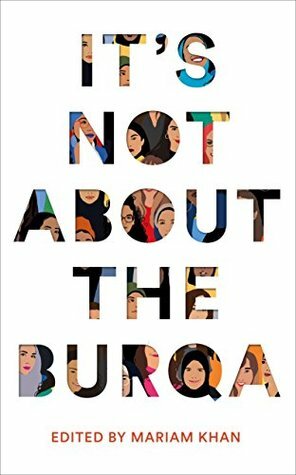 A much-needed collection of essays from Muslim women on faith, feminism and sexuality as a Muslim woman. Each piece was distinct and worked towards dismantling a very stereotypical narrative around Muslim women. It does its best to discuss a wide range of experiences and allows Muslim women to take a step into a discussion we are never invited to join. 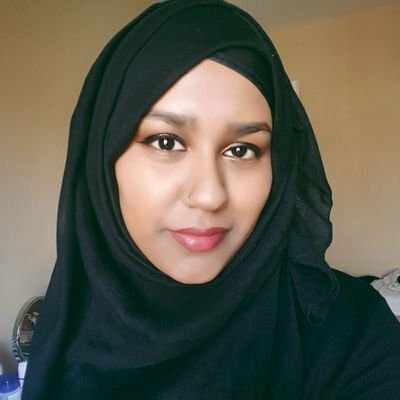 It starts for a much bigger conversation where Muslim women can reclaim their identity for themselves without generalisation and gives a great insight into many other perspectives of intersections of Muslim identities. the world. This book is quite blunt and I, personally, had some seriously mixed feelings about this book. However, I did appreciate the discussion it had on mental health, and it encourages others to discuss it more. The characters are ridiculous and real, and their journey together as a group was a shining moment in this book. 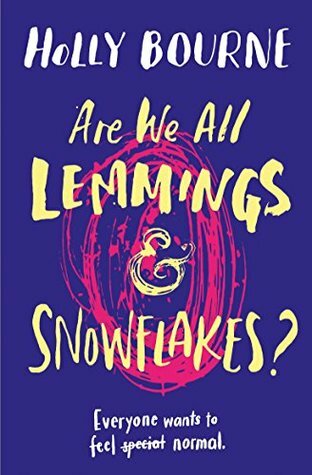 I just personally did not connect with this book, but I also did not want to rate it really negatively because of my own personal shortcomings with this book. Told from the perspective of three teenagers, all experienced the death of a loved one. Autumn lost her best friend, Shay, her twin sister, and Logan, the boy he loved. Their stories are linked through an indie band called Unravelling Lovely, and this book essentially follows them as they navigate their grief. It’s an emotional story, and I really enjoy how each narrator uses music differently to deal with their pain. Towards the end, I feel like the plot thins especially as it’s spread between three different perspectives, but nonetheless, I really enjoyed. It’s, in essence, three different stories in one, and it has a beautifully diverse cast of characters. Rukhsana tries her best to live up to her parent’s unbelievably high expectation. Luckily for her, she has only months between her life in Seattle to her new life in Caltech, where she can hope to be herself with her girlfriend, Ariana. But when her parents catch her with her girlfriend, she finds herself travelling to Bangladesh, believing she was visiting a sick relative and stripped off her passport until she agrees to an arranged marriage. As she plans to return to the States, she discovers her grandmother’s diary and learns to find strength without losing her family in the process. This book is emotional and brilliant in every way possible. I warn it isn’t an easy read. It discusses colourism, homophobia, Islamophobia, assault, abuse, forced marriage and hate crimes. The sheer depth of this book is mesmerising and packs a hell of a punch. Rukhsana’s experience is one that is all too real and heart-breaking.